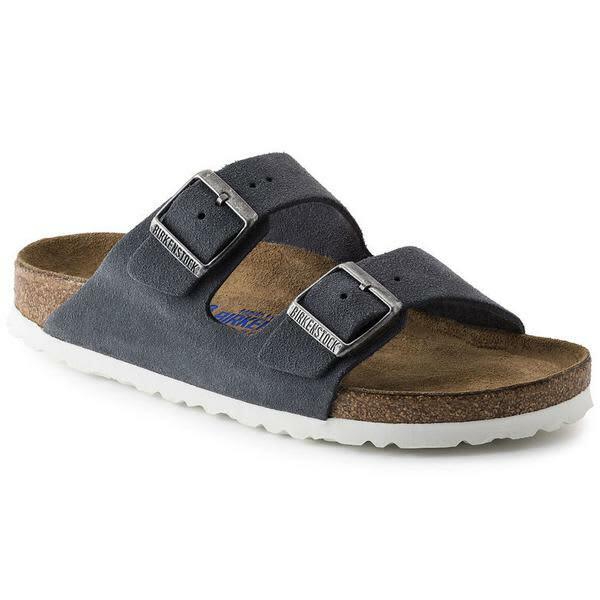 Soft, pastel-colored suede broadens the popular Birkenstock classic with new trendy models. The high-quality thick suede of the sandals is completely dyed. The colors draw on fresh summer trends. A special detail of the sandals is their white outsole. It emphasizes the clean muted look of the shoe.